Fun card share today. I just LOVE the Tropical Escape Suite. I used for the Tropical Escape Designer Series Paper (DSP) for the background. 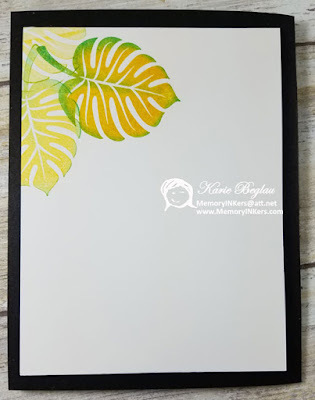 To get the two tone on the leaf I first inked the stamp in Crushed Curry then, using a Sponge Dauber, I colored the edge with Bermuda Bay ink. They were cut out with the matching Tropical Thinlits Dies. I kept most of the card flat so it could be mailed easier. The butterflies are popped up and have rhinestones (colored with blends) and that might be thick enough for the Post Office. Don’t forget the inside of your card! If you place an order by February 18th, please use the Hostess Code: 4AED3A7Z You will be entered in a drawing for FREE Product on February 28th. I have exciting news!! 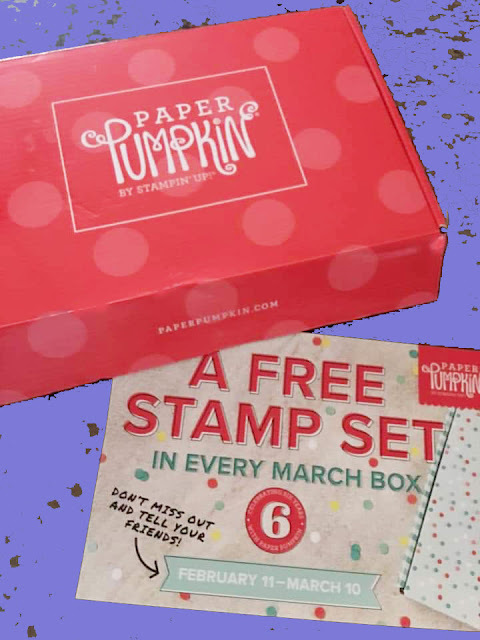 The Paper Pumpkin Pop Up Hop is now going to be a monthly event on the 4th Tuesday of the month at 9 pm (Eastern Time USA). 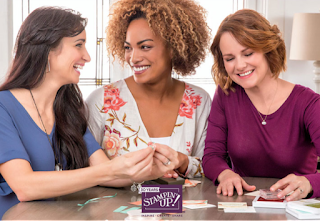 Be sure to join us each month to see fun and different ways to use your monthly kit! 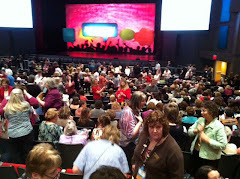 Above you can see the photo of the suggested projects from Stampin' Up! for the February, 2019, kit. You may also notice I wrote the name of the Ink Spot on this sheet. This way if/when I decide to recreate these cards I will know what color the ink was. For the first card I decided I wanted to use the solid black background. 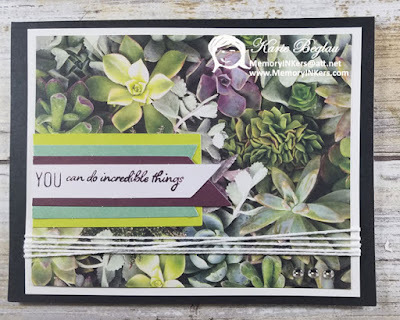 I created layers with the diecut pieces of card stock (cs) then adhere it to the DSP and trimmed the ends so it would be even to the DSP. I backed the piece of Designer Series Paper (DSP) with Whisper White cs before wrapping the Bakers Twine around making sure to put one layer at an angle for more interest. After attaching to the card front I added three of the pretty round clear pearls. 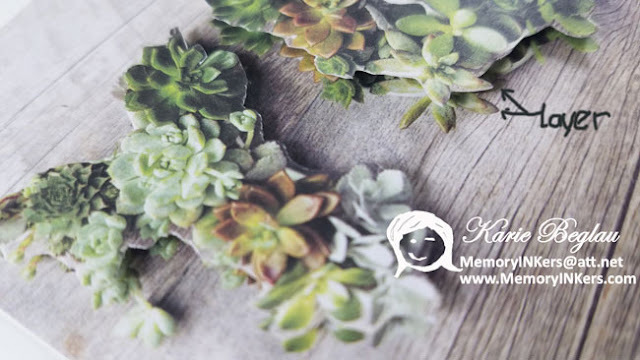 I like to add any bulky embellishments last so that it is easier to apply the adhesive behind the layer. 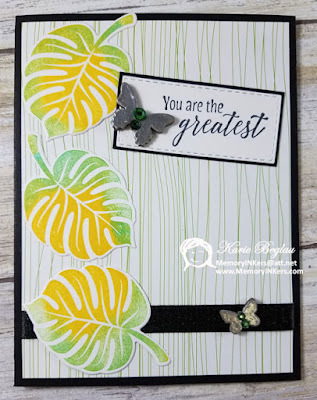 For second card I trimmed both the DSP and the Basic Gray cs pieces to make them an even edge fit on the white/gray printed card base (I love this base and hated to cover it up!). Because of the space near the top of the DSP was pretty blank I used this larger sentiment and added five random round clear pearls. It's always a good idea to add this type of embellishment in uneven numbers (3-5-7- etc). For the third card I wanted to be a little crazy. 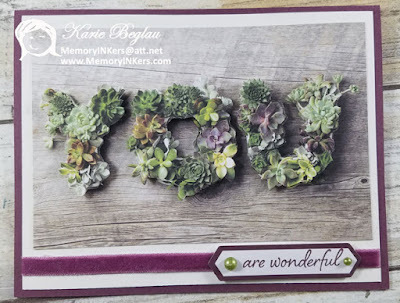 So, I fussy cut the letters from one of the pieces of DSP and layered it onto a 2nd piece using Stampin' Dimensionals (see close up photo below). 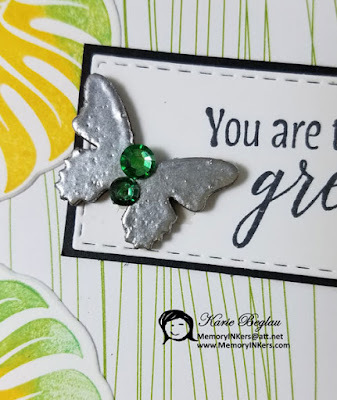 This was layered onto Whisper White cs and the card base is from a half sheet Fresh Fig cs. 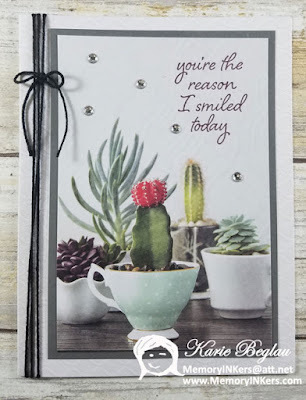 The little pearls on the sentiment where colored with a Stampin' Blends Mossy Meadow Light Marker. The card base, pearls, and Velvet Ribbon are the only things that I used that were not in the kit. All other cards used only kit items. Don't Forget the inside of your card! Because the Fresh Fig cs card base is much to dark to comfortably write inside (even with chalk or jell pen), I added another piece of Whisper White cs. 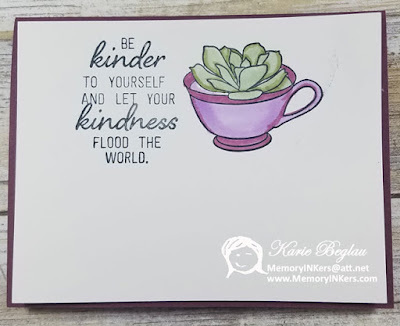 I stamped the images from the kit's stamp set then colored in the cup/succulent with Stampin' Blends Markers. 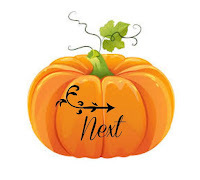 Again this year to celebrate the 6th Birthday of Paper Pumpkin, Stampin' Up! 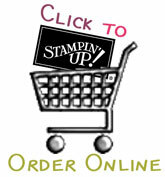 is going to include an additional stamp set in next month's kit! Don't miss this next kit! 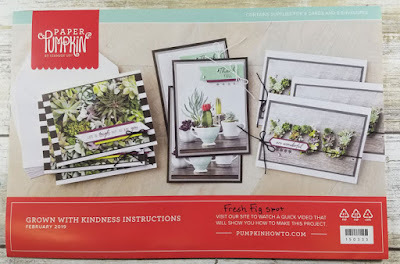 If you are a new subscriber they will even include a small travel block for you to put the stamps on so you are ready to get started right away! Sign up by March 10th to be included in next month's kit then come back here on the 4th Tuesday at 9 pm to see our Alternative Ideas! 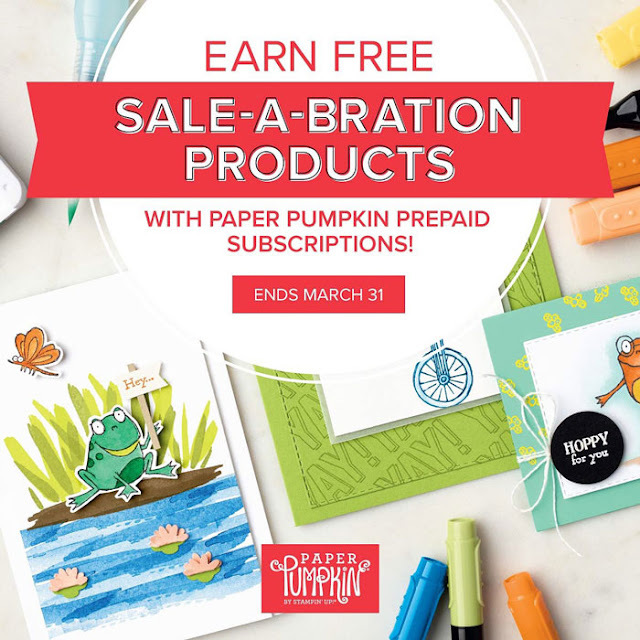 Plus you can earn FREE Sale-a-bration Items with subscriptions! 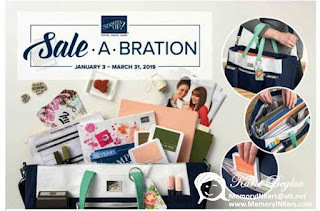 Use the links at the bottom of this post for Sale-a-bration benefits!! 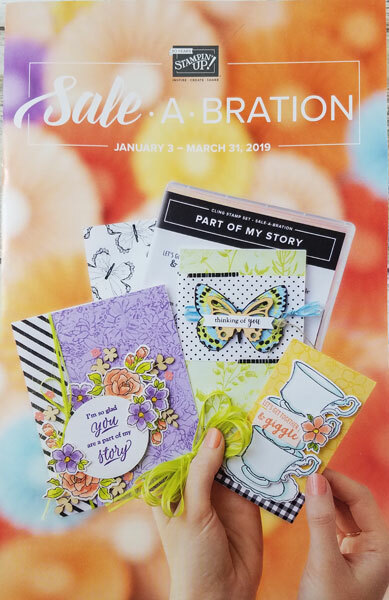 If you place an order by February 27th, please use the Hostess Code: 4AED3A7Z You will be entered in a drawing for FREE Product on February 28th.